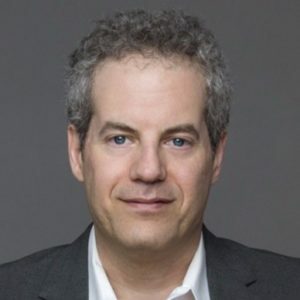 This guest column by Jeff Ulster, Chief Content and Technology Officer at The Podcast Exchange (TPX), was originally published on that company’s blog. TPX is a leading Canadian podcast advertising company. This is the second of a three-part article; part one was be posted on Tuesday. In a world increasingly dominated by digital media, where Google, Facebook and Pandora offer extremely granular data about users and behaviour, podcast measurement still has some catching up to do. But that’s changing. Advertisers have expectations from their experiences with digital advertising and streaming media, and it impacts their decisions about where to put their ad dollars. They want measurement, utility and scale. Let’s break these down, and look at how they’re being addressed by new advances in podcast analytics. Digital streaming services have a great advantage here. Spotify and Apple users have accounts with user profiles, so demographics can be attributed to users, and consumption and behavioural data can be aggregated to provide insights and trends. Listen-through rates (LTR), pauses and skips are easy to capture because these platforms own (and maintain the code for) the front-end audio players themselves. They know the user, and they know how the user engages with the interface and the content. Is this achievable with podcast measurement? Longer answer – Smart minds are working on this as we speak. Major advances have already been made, and 2019 looks to be a pivotal year. The key to the leap forward has been the acknowledgement that, to do better, podcasters need to join forces and get buy-in from the major podcast listening platforms so they can retrieve consistent client-side (ie. listening platform-managed) data. If Apple, Stitcher, Spotify, Google and other podcast listening services work with publishers to add a little code to their front-end audio players … well, that’s the magic bullet. The code is already being (or has been) developed. The Remote Audio Data (RAD) measurement system was developed by NPR in conjunction with a cross-section of nearly 30 companies. It’s open source, it was released in December, 2018, and some of the biggest publishers and hosting services in podcasting have committed to implement it into their products in 2019. NPR’s flagship app, NPR One, has already integrated the code and it’s live. 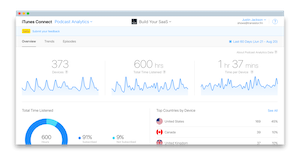 RAD isn’t the only client-side measurement option out there being developed. Dan Jeselsohn, SVP of Digital Technology for ART19, says that whether it’s RAD, Podcast Pingback (RSS based, some platforms are supporting) or Open Podcast Analytics (another open-source way of doing client side measurement), as long as everyone agrees to one standard and we can get buy-in from the platforms that own the audio players, we’ll be miles ahead of where we are now. Even now, there is some ability to get this data, but only within the confines of each individual podcast listening platform’s analytics dashboard. You can’t compare metrics like Apple “devices” to Spotify “users” to create a broader picture, for example, but you can get some insights about listen-through rates from within Apple Podcasts, and user demos from Spotify’s podcasting dashboard. Apple Podcasts now lets publishers see completion rates, drop-offs, geo-location and other listener data. Is utility achievable with podcast ad tech? Longer answer: Almost all of these things are achievable now, and will continue to improve in the future. The difference is that, for now, some podcast services can do some of these things, but not all of them can do all of these things. Many podcast hosting services with ad tech can report on and/or target device, time of day and geo-location, as well as offering some brand safety and ad frequency features. So rest assured, those can be checked off your list right now. At The Podcast Exchange (TPX), we’re often asked about pixel-tracking. This is a common method to verify that a digital display ad has been seen by a user. With audio, it’s a little trickier (no pixels to fire!). But the equivalent exists – third-party ad tracking (including DCM) – and is already in use by many podcast ad-serving companies. Tracking destination URLs are pinged when an ad impression is processed, and the user agent info is passed along with the tracking ping. There are limitations to what information can be gathered, because it’s still server-side measurement, but it should definitely provide some reassurance to advertisers, and it allows them to include podcasts alongside other media to aggregate metrics across different platforms. Another common request is for third-party data, a standard offered in many forms of digital advertising. This is provided by external data companies to help create demographic profiles for podcast users, allowing for more refined targeting during ad campaigns. It’s great info to have in theory, and it’s one of the things that “feels” effective, and appears to deliver great results. But there are a lot of issues around third-party data. The ethics behind the data-gathering can be questionable (think Facebook scandal), as is the credibility of the data itself. Advertisers might be paying for data that winds up targeting the wrong folks, even if it looks good on a campaign report. Nonetheless, it’s an industry standard, it’s efficient and it meets a need. 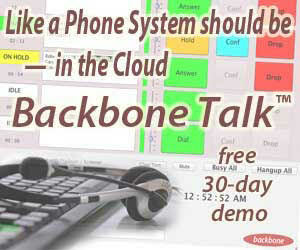 Some ad-serving podcast technologies do offer this, but it comes with trade-offs. It might restrict the type of buying you can do, just like programmatic advertising does. You may be buying into a blind market, so you won’t actually know in which podcasts your ads were heard. It can limit scale, understandably. It’s called third-party data for a reason – it’s arguably much more strategic to use “first-party” data collected directly by the podcast publishers or services themselves. Working with experts who know their audiences and their content will always result in more effective ad campaigns, even if there’s a little more up-front communication between humans happening rather than between machines. It’s also more challenging to find Canadian third party-data integrations, because most podcast hosting technology companies are based in the US and elsewhere. While mindful of these issues, Jeselsohn is optimistic about podcasting’s adoption of some of these features. He says that attribution tracking is progressing, and he thinks podcasting will be able to provide the same utility around third-party data as OTT boxes can now offer with streaming media. He sees an increase in marketplaces and exchanges, and also in programmatic services and functionality. 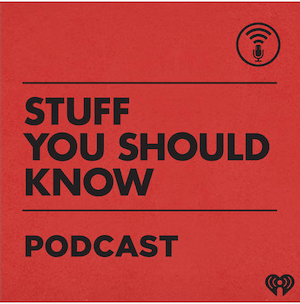 The Stuff You Should Know podcast is part of the How Stuff Works network, generating millions of downloads in Canada alone each month. Advertisers are often trying to reach mass audiences. Podcasting is known as a “niche” medium, so conventional thinking can lead one to believe the opportunity is limited in podcasting. 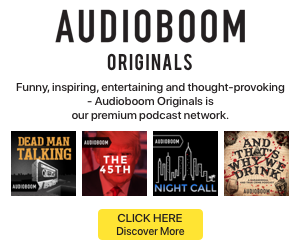 Is scale achievable with podcast advertising? Short answer – YES! Longer answer: More than seven million Canadians listen to podcasts every month. Some individual podcasts have literally millions of listeners inside Canada alone, and tens of millions across North America. These can be fairly compared to TV audiences at this point. Podcasting may seem niche, but it’s a mass medium now. For context – there are more than 600,000 shows offered in Apple Podcasts alone. In the most recent Canadian Podcast Listener survey, 1,500 Canadian podcast listeners identified about 1,800 different shows they listened to in the month they were surveyed – long tail! To achieve scale, beyond the hugely successful Top 10 or so, shows need to be aggregated. Aggregation unlocks access to millions of young, affluent, educated and hard-to-reach audiences. Because the podcasts they listen to are so varied (and are distributed on different platforms), there’s no single tool that can automate the entire process across multiple platforms. So scale can come somewhat at the expense of utility, but it is available. That trade-off exists now with all digital media. For example, Spotify provides great utility, but not scale. You’re limited to Spotify users only (estimated at only 10-20% of podcast listens), and it’s likely you’ll want to reach far more users with different habits and profiles. Podcasting allows you to reach a broad audience with a variety of interests to match your campaign, at scale. All this information should instil some confidence in the great value of podcast advertising. But it can also be overwhelming – where do you start? How do you tap into valuable Canadian audiences, as fragmented as they are across different podcast programs and networks? Worry not – in the final instalment of this series, you’ll learn about how partnering with Canada’s very own The Podcast Exchange can make podcasting advertising simple and effective, providing great value for your clients.